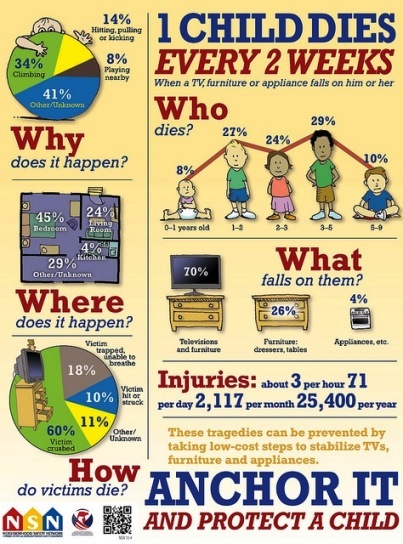 We previously posted about protecting kids from TV tip-overs, but the incident in this news story involves furniture. The terrifying video simulation below shows the danger and the solution. Anti-tip anchoring devices are readily available and easy to install, as demonstrated in the video. Here’s an anchoring how-to tip-sheet (PDF) from CSPC. Learn more at anchorit.gov.